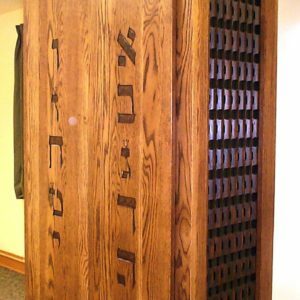 This built-in aron kodesh was built with a solidy mahogany front as well as solid mahogany carved trim and molding. Please call for current pricing. 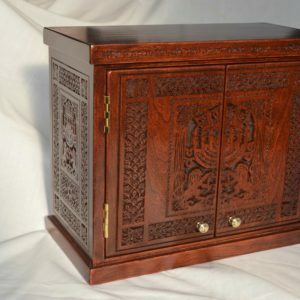 Solid built with extra secure doors, this aron will add elegance and beauty to your shul. 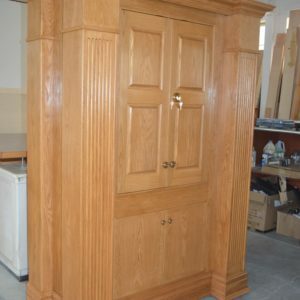 Built of solid oak and oak ply, it is mounted on casters for easy movement. Includes pocket with paroches rod. Shown in oak with "Oak Mantle" stain. Prices start at $8275 Call (414) 873-1602 for information about ordering today. This very popular model is perfect for day school or similar use. Can be done is a size to suit your needs. Available in cherry stained birch (shown) and oak. Other wood types available upon request. Prices start at $4250. 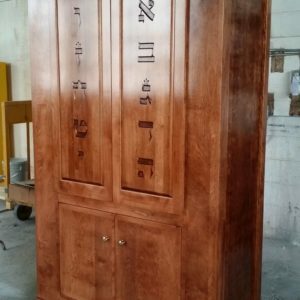 This cherry-stained aron kodesh is built upon a storage base which is equipped with casters. 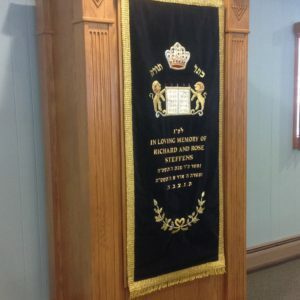 The aron shown is in use in the Jewish Primary Day School in D.C. Please call for current pricing. 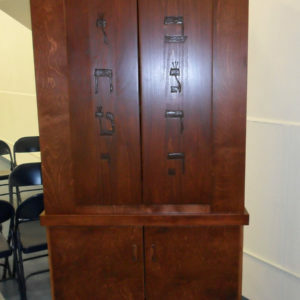 Approximately 8' tall, 36" wide, and 24" deep, this aron kodesh is perfect for a small shul. 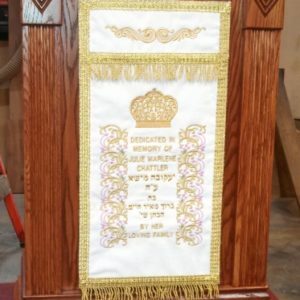 Comfortably holds 2-3 sifrei torah. Prices start at $5750- call for details and options. Prices start at $825 - call for details and options. 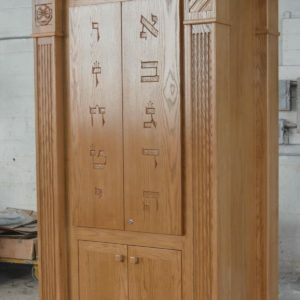 This solid oak Aron Kodesh with hand-carved details was commissioned by the Milwaukee Jewish Home & Care Center for use in a temporary chapel while their facility underwent remodeling. Call for pricing. 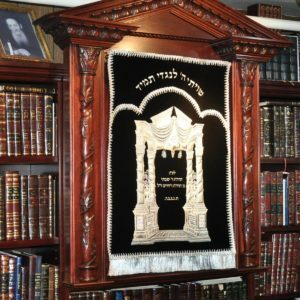 This very small aron kodesh is perfect for travel and can easily fit into a compact car. Prices start at $750 - call for details and options. 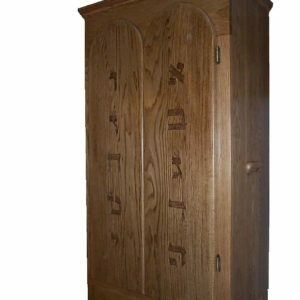 This solid oak aron kodesh features a separate base for easy transport in a car or van. Doors can be ordered square-topped or rounded. Please call for current pricing.